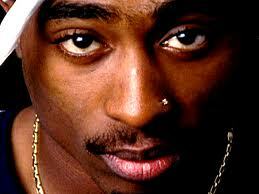 It was a sad day in November 1994 when Tupac Shakur was murdered near the MGM Grand in Las Vegas. We still miss you, Tupac! Now, just before what would have been his 40th birthday, Dexter Isaac, who is currently serving a life sentence for a string of offenses including murder and robbery, came forward on June 15th stating that he received $2500 to kill Tupac from James “Jimmy Henchman” Rosemond in the Quad Studios in Manhattan that same month. Well thanks for that, Dex. Despite your admission of guilt, you are a total scumbag; even way back in ’94, $2500 bucks was a measly sum to claim a life and extinguish a talent such as Tupac’s. And you didn’t so much as ‘fess up’ as cowardly confirm the truth already revealed by your douchebag friend Jimmy Henchman. Let’s all be thankful you’re already rotting in prison.